» Contents from UMG. Video does not play in your website. 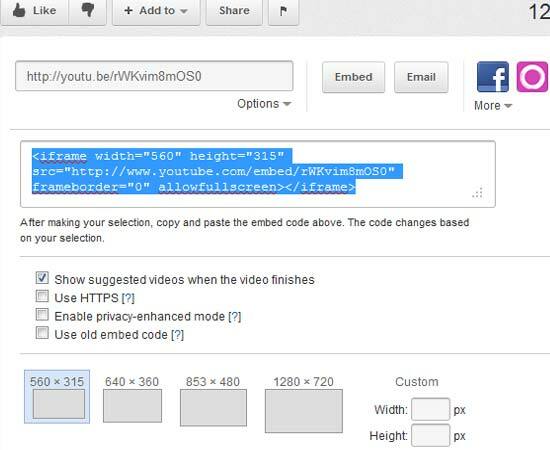 Follow the procedure below to embed the youtube video in your personal website/blog. 1. Go to your video in youtube, you will find a "Share" button at the bottom of the video. 2. On clicking the "Share" button, you will find a "Embed" option. Click on "Embed". You will be given a code snippet. You can select the size of the video or you can customize your own video size. Copy and paste this code in your website or blog, you will now be able to play the youtube video in your website/blog without visiting the youtube. In the example below, we have chosen 560*315 size. Contents from UMG. Video does not play in your website. Sometimes you can not play youtube video in your website. You will get an error message like below which says "This video contains content from UMG. It is restricted from playback on certain sites. Watch on YouTube". This is because the video conatins the conrents from Universal Music Group (UMG). The UMG company policy does not allow this youtube video to be played in your personal blog/website. You can only watch this video in youtube. 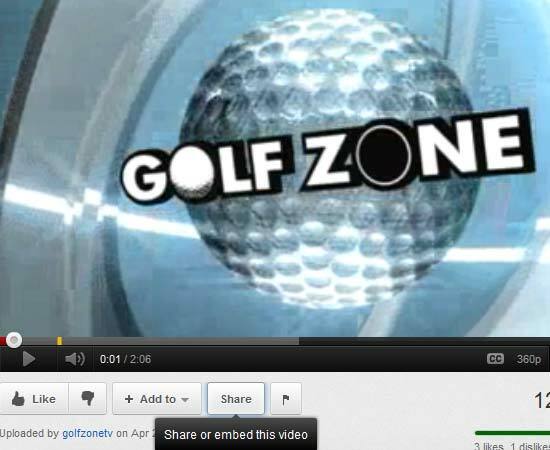 Embedding this video in your website/blog is not possible. However you can put a link to this video.